« ALL-IN OFFER UNTIL JUNE 30th! HARMONY Richmond City Centre Condo Tower by Townline & Peterson Group! 1 Bed+Workstation to 2 Bed+Den Floor Plans | 119 Suites for Sale at the Presale Richmond Harmony Condos > REGISTER HERE! Opening Spring 2013! The new Winchester Estates in Langley Murrayville real estate district will feature both 3 and 4 bedroom townhomes for sale from the low $300,000’s. Nestled on a prime hillside location, the heritage inspired Murrayville Langley Winchester Estates Townhomes are as inviting as the natural and beautiful setting. Featuring Craftsman style exterior architecture and facades and plenty of space for living – both inside and out, there’s no better place to escape hectic schedules and enjoy the true sense of belonging right here at the new Murrayville Winchester Estates Langley townhome community. The Grand Opening for these presale Langley townhomes is scheduled for March 9, 2013. 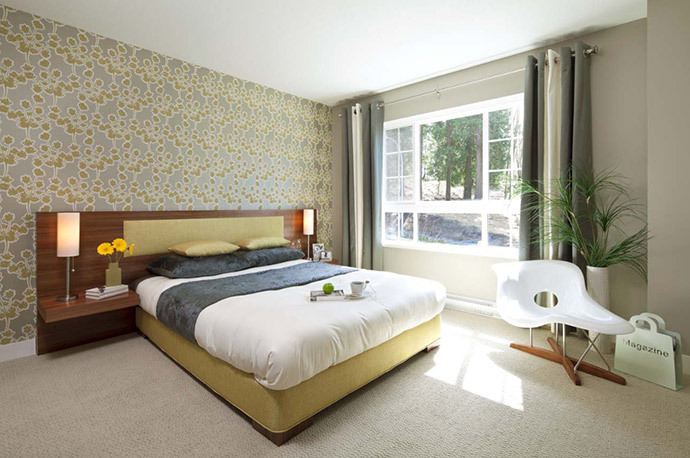 The project location at the Winchester Estates Townhomes is at 220 Street and 50th Avenue Langley BC. 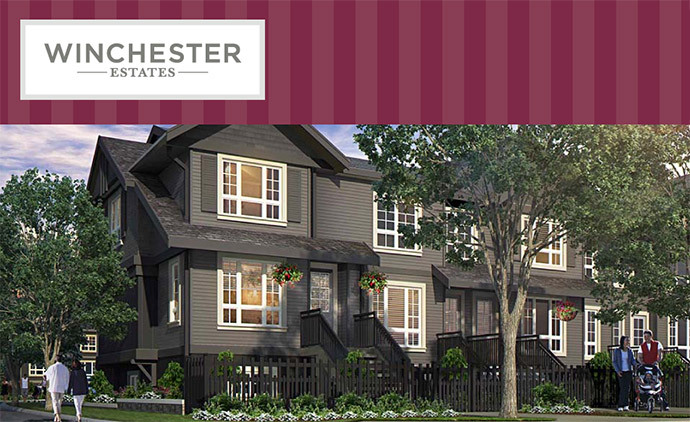 The new Langley Murrayville townhouses are brought to you by Winchester Estates by ParkLane Homes. More information is online at http://winchesterestates.parklane.com/. From nine foot ceilings to spacious floor plans and from contemporary berber carpeting in the bedrooms to laminate floors throughout the main floor, the Winchester Estates in Langley are designed for today’s home buyers in mind. Some homes also have convenient walk out basements and some townhouses have his/hers walk through closets. 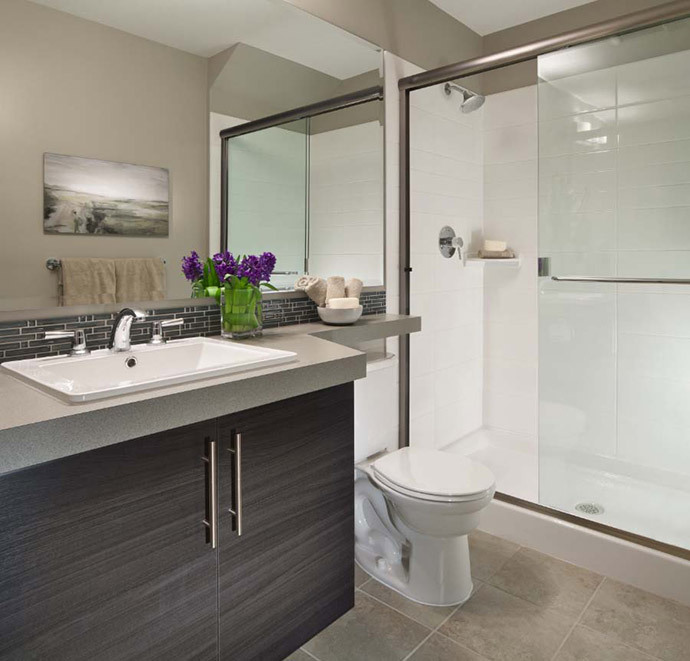 Other interior finishes at the Winchester Estates in Langley include his/hers vanities in most ensuite bathrooms, soaker tubs with separate showers in some homes (including oversized shower heads) and maple wood shaker style cabinetry. The kitchens will have convenient workspaces, islands in some homes, pantries and breakfast bars. The presales Langley Winchester Estates townhomes will also have engineered stone slab counters in the kitchen, tiled backsplash, brushed nickel hardware, fridge with ice maker, Whirlpool stainless steel appliance package and double basin stainless steel sink. All homes at the new Langley Winchester Estates townhomes have rough in for security systems, 2/5/10 Travelers New Home Warranty and ParkLane’s award winning customer care program. There is a fully landscaped common area with child friendly play areas, timeless Craftsman style architecture and three distinct building colours all in rich natural colours. In addition, homebuyers at the new Langley Winchester Estates in Murrayville will get a one year family pass to the W.C. Blair Recreation Centre. All 3 floor plans are three levels and some homes have fully finished basements. There are two car side by side or tandem garages depending on the floor plan in addition to front porch entries for the Winchester Estates Langley townhomes that face 220th Street. Langley Winchester Estates Is Now Taking Appointments! The much anticipated encore to the award-winning Winchester Langley real estate community is here! Book your VIP appointment before we open to the public on March 9th. As a Winchester Estates Langley Townhome VIP, you get first priority to explore this exciting new community of townhomes in the Langley real estate market. Located on a prime hillside location with highly sought-after features, such as open floorplans, fenced yards, main floor powder rooms and two-car garages, these townhomes won’t last long! This brand new Langley Winchester Estates community is comprised of 3 bedroom townhomes from 1,293 sq.ft. Also included in these fabulous new Langley townhomes are Stainless Steel appliances, Luxurious engineered stone countertops and Traditional Maple wood shaker style cabinetry. As well, the new Langley Winchester Estates townhomes will have 2 designer colour-schemes to choose from in addition to spacious private decks or patios and plenty of outdoor space. Select townhomes at the Winchester Estates in Langley will have views of the North Shore Mountains. Thank you for your interest in Winchester Estates Langley townhouses, a community of 3 and 4 bedroom townhomes by the award-winning ParkLane Homes. Winchester Estates Langley is located in the coveted Murrayville neighbourhood, an established community full of parks, walking trails and excellent schools. It is home to both young, active families and long-time residents who appreciate its strong sense of community and rich array of amenities. Nestled on a prime hillside location in Langley real estate market, these heritage inspired Winchester Estates townhomes are as inviting as the natural and beautiful setting. Featuring Craftsman style architecture on the exterior and open floor plans, the new Langley Winchester Estates townhomes will have fenced yards, powder rooms on the main level and 2 car garages. 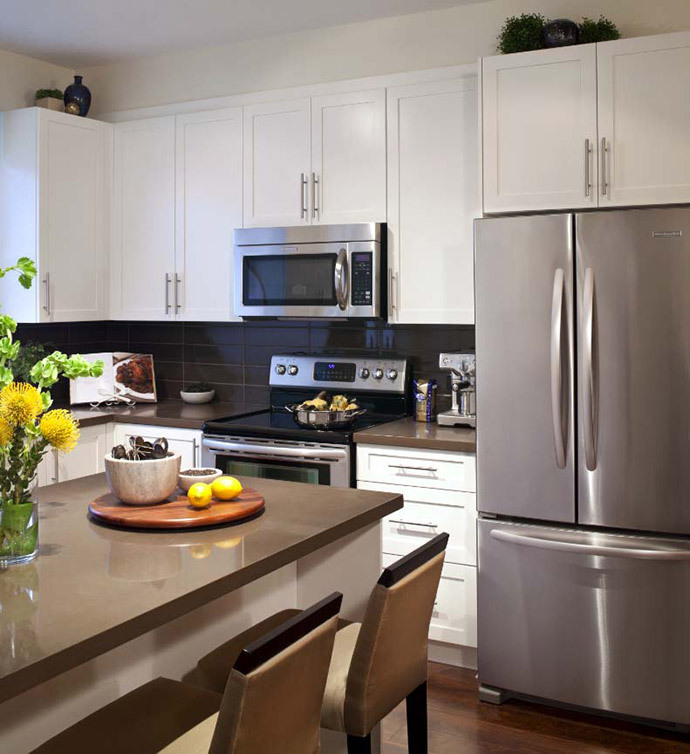 Presales Langley townhouses will begin early March 2013. Located at 220 Street and 50th Avenue, Langley, the Winchester Estates are brought to you by one of our favourite master builders ParkLane Homes who have decades of experience and hundreds of successful projects under their belt. Register for more information at www.parklane.com. Situated in the family friendly Murrayville Langley neighbourhood the new townhouses by ParkLane Homes will feature recreation surrounding you from the WC Blair Recreation Centre to the many wonderful parks and green spaces that you and your family can enjoy year round. The presales Langley Winchester Estates townhomes are also a short five minute walk to IGA and the Town Centre Mall and a five minute drive to Willowbrook Mall and Walnut Grove Langley. There are only 71 three and four bedroom homes for sale here starting from the low $300,000s range. The presentation sales office at the Langley Winchester Estates townhomes is situated at 21867 – 50th Avenue Langley and they are open noon to 5pm everyday except Fridays from March 9 onwards. Some unique features of the new Murrayville Langley real estate development by ParkLane Homes is the Craftsman style architecture and façade which are truly detailed and beautiful. From faux shutters to mullioned windows and from the heritage style exteriors, the new Langley Winchester Estates homes for sale are brought to you by ParkLane Homes. The historic and quiet neighbourhood is great for families of all sizes as well as couples seeking affordability and a historic Murrayville neighbourhood that they can cal home. From established schools to shopping and dining and from major transportation routes, the new Langley townhouses are all about hillside living in a great community. ParkLane will be launching 2 showhomes on March 9th which will feature open plans and gourmet kitchens with eating bars and dining spaces. The engineered stone counters are fabulous as are the powder rooms on the main floor. Great views of the forest are available in select homes and others will give you glimpses of the beautiful Golden Ears Mountains. From a computer station nook to spacious balconies with views, every detail has been attended to by ParkLane Homes. Not only that but the presales Langley Winchester Estates in Murrayville will also feature spa inspired bathrooms/ensuites and very large bedrooms.